Courtesy of Maui Real Estate Advisors LLC. 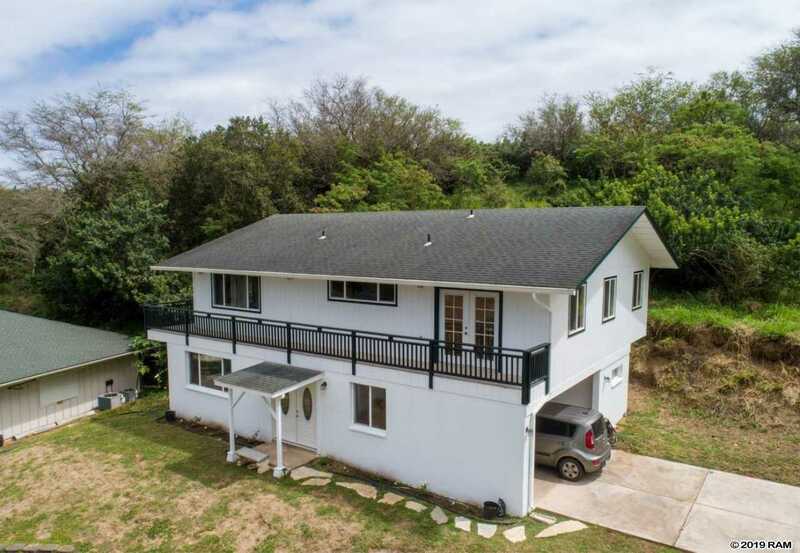 Located in Waihee away from the hustle and bustle of town is this beautiful contemporary home on a quiet cul-de-sac. Recently painted inside and out, the home features three bedrooms and three baths with plenty of room for family and friends. The kitchen features a beautiful country sink, center island and wood cabinetry. Just off the kitchen is a laundry room and bathroom along with a mud room coming in from the garage to slip off the shoes and put on your favorite pair of slippahs. The master bedroom is spacious with ample room for a seating area. The master bedroom also has a walk-in closet and large master bath featuring a jetted tub, shower, and dual sink vanity. There is a large wrap around balcony with amazing mountain and ocean views. The property is just a short drive into Wailuku Town and Kahului, making it a great place to get away from it all, yet close enough for shopping, entertainment, restaurants, beaches, hiking and more! © 2019 Tom Tezak - Maui Real Estate Specialist. All Rights Reserved. Real Estate Website Design by Home Junction, Inc. This information is believed to be accurate. It has been provided by sources other than the Realtors Assoc. of Maui and should not be relied upon without independent verification. You should conduct your own investigation and consult with appropriate professionals to determine the accuracy of the information provided and to answer any questions concerning the property and structures located thereon. Featured properties may or may not be listed by the office/agent presenting this brochure. Copyright, 1995-2019, REALTORS® Association of Maui, Inc. All Rights Reserved. Please, send me more information on this property: MLS# 382009 – $825,000 – 56 Akumu Way Unit 9, Wailuku, HI 96793. Yes! I'd like to see this property.